Are Larabars Bad For You? - Here Is Your Answer. Are Larabars Bad For You? 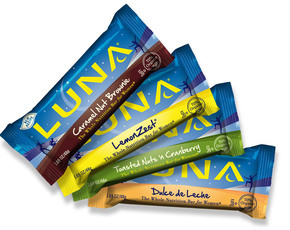 Larabar is a very popular snack bar that is made from whole foods. 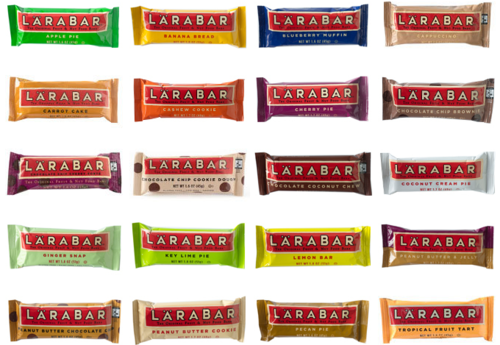 Larabars are gluten-free, dairy-free, soy-free(most), non-GMO, vegan & kosher. They are relatively low in calories, however, some varieties of Larabars are quite high in fat and sugar and would not be the best choice for someone looking to lose weight and or control glucose levels. Larabars come in several flavors and are made with no more than 9 ingredients that consist mainly of nuts and unsweetened fruits with some varieties containing vegan chocolate chips and cocoa. All of the Larabar varieties contain dates. Dates are loaded with minerals and vitamins and health benefiting phytonutrients. The fiber in dates helps to balance the gastrointestinal tract allowing for easier colonic evacuation - thus helping to prevent constipation. 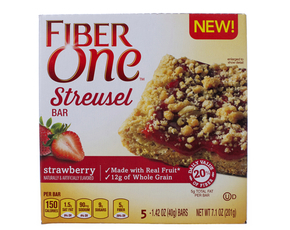 This dietary fiber helps prevent absorption of LDL cholesterol and triglycerides in the gut supporting improved blood lipid levels. Dates contain iron, calcium, phosphorous, copper, potassium, magnesium and zinc. Dates are high in B vitamins and also contain vitamin A and K. Vitamin A protects the eyes and keeps our mucous membranes healthy. These vitamins and minerals fuel many important pathways in the body. They support our ability to cleanse impurities and boost the immune system. Dates have anti-oxidant power and help fight off free radical damage in the body. Dates are also natural anti-inflammatories. Dates, however, are loaded with sugar in the forms of fructose, glucose and sucrose. Depending on which Larabar you choose the carbohydrate and fat content can be quite high - especially the chocolate varieties. 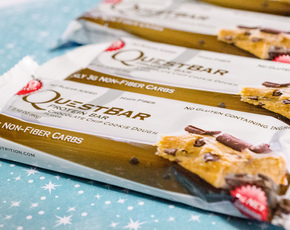 The bars are around 200 calories and deliver about 3-6 grams of protein. 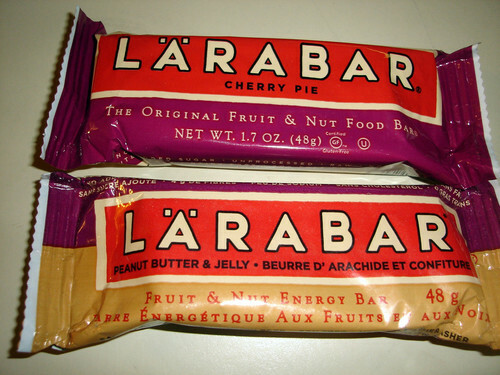 Although Larabars were originally known for their “no added sugar” campaign, this does not apply to the bars with chocolate chips. Larabars are rich in nuts - mainly almonds, cashews and walnuts. According to a Harvard review, these nuts can all play a role in reducing the risk of cardiovascular disease. These nuts can help reduce LDL cholesterol and deliver heart-healthy monounsaturated and polyunsaturated fats. These nuts contain arginine - an amino acid that converts to nitric oxide in the bloodstream allowing blood vessels to relax. As the blood vessels relax the blood cells flow better and more oxygen is delivered to vital organs and tissues. Larabars are gluten-free. Gluten is a protein found in barley, rye, and wheat and can also be found lurking in countless processed foods. For those with gluten sensitivity or intolerance, eating these foods can cause a few problems. Consuming it can spark nausea, diarrhea, and in the case of wheat allergies, even anaphylaxis. All Larabars are gluten-free. Larabars use only non-GMO ingredients which is a positive feature of their products. Larabars are dairy-free and therefore vegan. Even though the vast majority of chocolate chips in the world are made with dairy, soy or both, Larabar has a supplier that provides chocolate chips without dairy. Some of the Larabar labels state they are soy-free but not all of them have been thoroughly tested for soy-free claims and requirements. Larabars are tasty snacks that have some nice whole food ingredients. 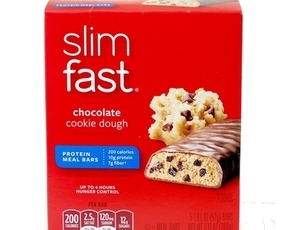 The drawback is that some of the bars are very high in sugar and fat content. Obviously, moderation is important and snacking on some organic fruits and veggies would be a healthier alternative.